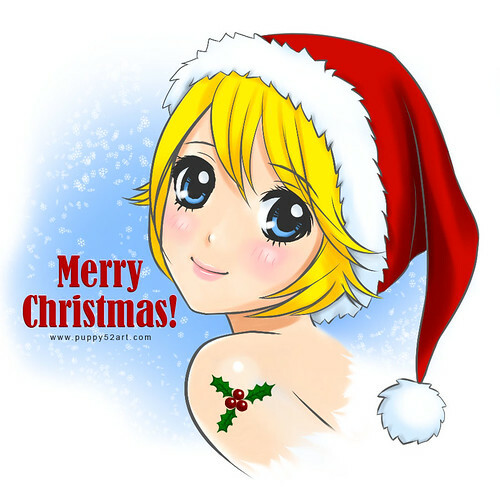 Hope everyone have a wonderful Christmas and Happy 2012!!! Merry Christmas 2012 with Stuffing Stockers! 4 Responses to Merry Christmas 2011! I hope you have a wonderful holiday season, and wish you all the best for 2012! A Merry Christmas Chun!, and Thank you for the wishes – I hope that you have/or will have a much more wonderful holiday season than I have. ^ ^/ Nice art work. Merry Christmas Patty and family! :D Wishing you all the best for 2012 as well! Merry Christmas to you and family as well~ ^o^ I hope your holiday season is great too!